Stiftelsen Matriark (The Matriarch Foundation) is an independent supporter of cutting edge documentary films covering the pressing issues of our times. We support and co-finance high quality films that promote human rights, cultural awareness, an open and informed society and civic participation. Directly, as well as through our partners, the foundation also mentors filmmakers in all stages of production and distribution. Stiftelsen Matriark also contributes to transmedia projects in conjunction with the films. 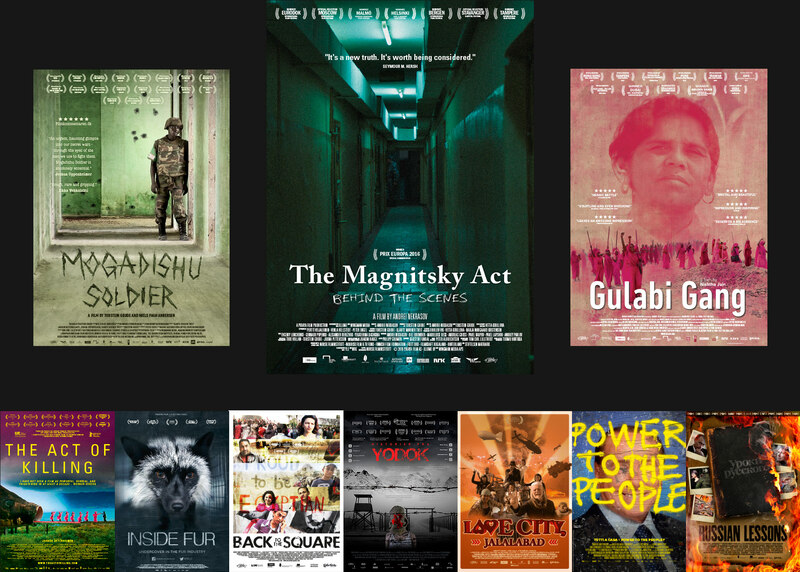 Despite the foundation’s limited resources, it has been successful in helping such acclaimed films of recent years, as The Act of Killing (Indonesia), The Magnitsky Act – Behind the Scenes (Russia/Europe/US), Gulabi Gang (India), Back to the Square (Egypt), Yodok Stories (North Korea), Russian Lessons (Georgia/Russia), Inside Fur (Norway), The Ambassador (Liberia/Central African Republic), Love City, Jalalabad (Afghanistan) and Belarusian Waltz (Belarus). The films we have contributed to have found their distribution nearly world-wide and have been awarded around 200 times. Or you can use Paypal at this link. If you are able to help or if you have any comments or questions relating to donation, or if you are just interested in learning more, please feel free to contact us at any time.